It's historically accurate, and it's for kids and adults alike. Intramuros may be a shadow of its former glory, but thanks to this cut-and-build model fort by Adrian Panadero, we can now recreate the city as it once was. Panadero chose to pattern his model after Intramuros from the 1800s—“a time when Filipinos were awakening to a period of enlightenment after centuries of colonial rule." Intramuros: The Walled City includes the area from Fort Santiago to the Plaza Mayor. 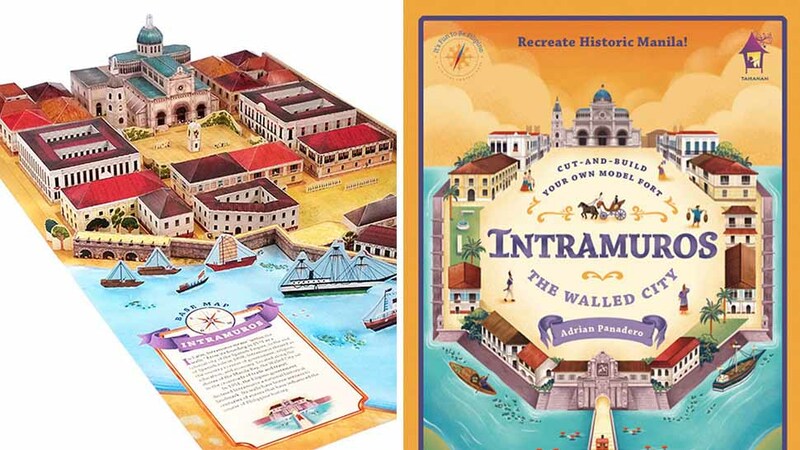 Each of its four color-coded sections—Forts and Walls, the Plaza Mayor and Manila Cathedral, Government Buildings, and Houses and Streets—contains background information, so you can learn about the city’s history as you build. To ensure the historical accuracy of the models, Panadero referred to blueprints, photographs, sketches, essays, and books, many of which were provided by the Intramuros Administration. The idea for the book came about when Frances Ong, Tahanan Books’ managing editor, found Panadero’s work on Facebook. “His undergrad thesis was a pop-up book on Intramuros, and someone had posted a link on [the] Advocates for Heritage Preservation [group],” she says. 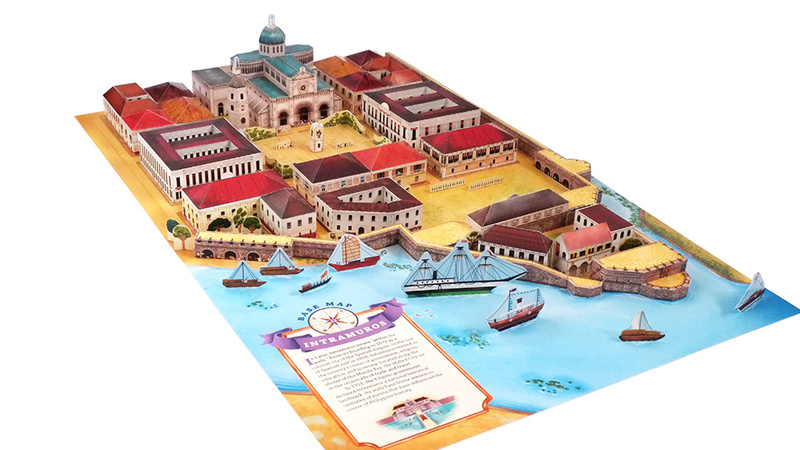 Panadero’s pop-up book was a breathtaking work of art that truly brought Philippine history to life. “We really wanted to do the pop-up book, but the production cost was too high. We wanted to keep it reasonably priced so that more people could afford it,” Ong explains. 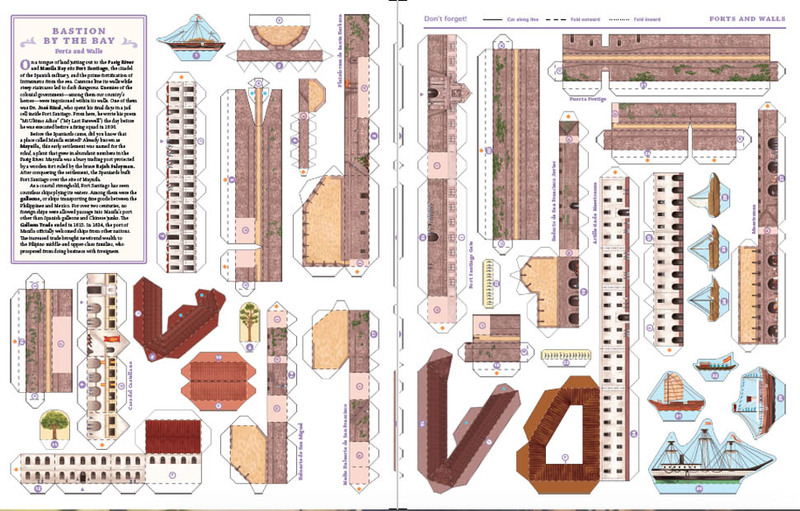 As a compromise, they came up with the cut-and-build book as an alternative, and tested it out with three groups composed of kids, teens, parents, and teachers. The book was a hit with all three groups, proving that reconstructing The Walled City is a fun activity for kids and adults alike. 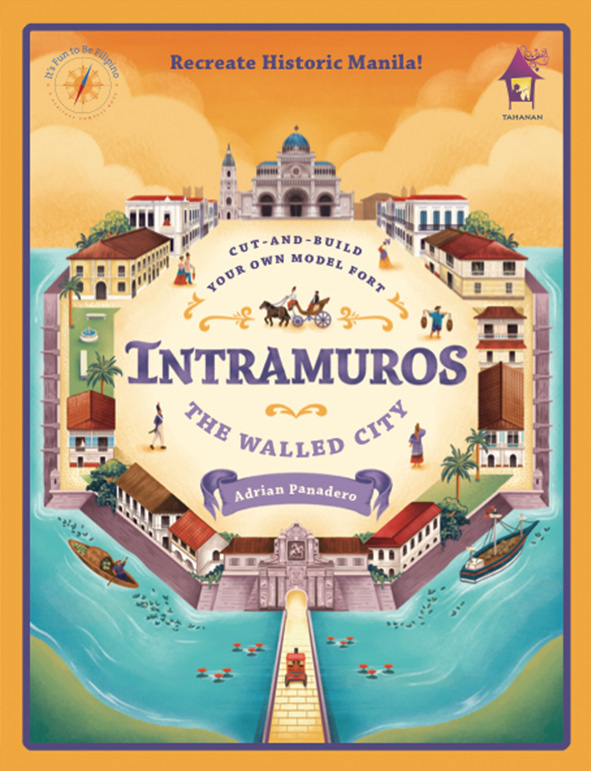 INTRAMUROS: THE WALLED CITY Cut-and-Build Your Own Model Fort (P295) is available at all major bookstores and on Tahanan Books’ website.